The Perfect Glatt Kosher Pesach 2019 Programs in Europe! The perfect Glatt kosher Pesach 5779 program in Europe! Exceptional Program ! Dream Destination! Sea View ! 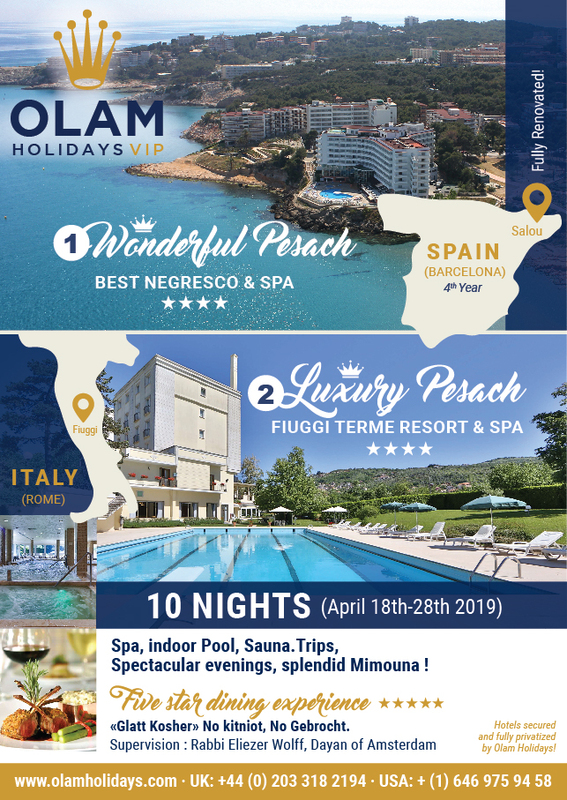 Olam Holidays is proud to present Passover 2019 Program in Salou (Costa Dorada – Spain ). 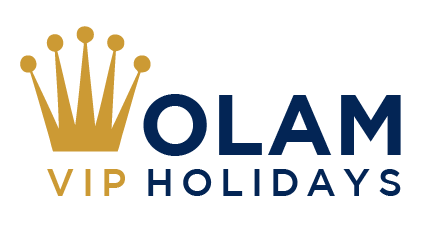 Olam Holidays , designer, creative and innovative in the achievement of holiday Kosher Deluxe. Designed by professionals of high-end tourism. Proven experience in organizing prestigious Koshers travel in luxurious hotels in the world’s most renowned hotel chains. for over 10 years. Fruit of our knowledge and our experience in high gastronomy in collaboration with starred chefs. Within few years, the company eamed a glowing reputation and became a leading name in organizing Pesach and other holiday vacations. Professionalism and reliability are not merely slogans at “Olam Holidays“. 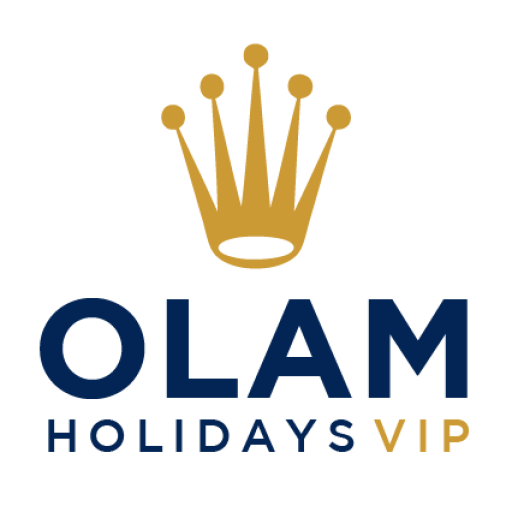 Exclusively featured by Olam Holidays during Passover 2019, our engaging and exciting activities will delight you from the moment you arrive at Salou. Located on the sea front and near the Playa Larga, which is accessed through a pleasant promenade. Boasting incredible views of Cap Salou and the beach, the Best Negresco feels like a hidden oasis away from the hustle and bustle – perfect when you’re craving a dose of calm. Seaside relaxation is the name of the game at Negresco hotel. The kids have their own club and that’s your cue for time-out in the spa or a quick burst in the gym, whatever floats your boat! It has an outdoor swimming and a well-equipped Spa center. The outdoor swimming pool and terrace has views of the sea, and there is also a snack bar by the pool.